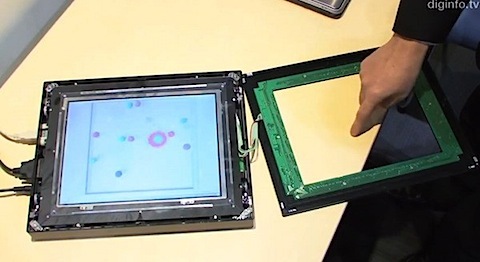 Displays; we look at them and now we touch them, and now we are getting closer to them giving haptic feedback. Our button phones and our keyboards give us haptic and audio feedback that is a large part of our experience of interacting with them, now researchers are figuring out how to give similar feedback using a touchscreen. Current mobile phones often use vibration as a feedback mechanism but that is limited and is usually general to the entire screen. Check out these other advancements. Senseg has created a screen that alters the electrostatic charge depending on where your finger is, which increases or decreases friction on the surface of the screen. This increased resistance is read by our mind as needing to apply more force, doing more work or encountering an obstacle. This is good for knowing when you are over a button and especially good for people with visual disabilities. NEC and Tokyo Institute of Technology have teamed up and created a tactile touch screen which gives force feedback by actually pulling the screen around under you finger. The benefit of this technology is that it communicates direction of moving objects that you encounter on the screen. FIngerFlux takes an approach in which there is an electromagnetic grid under the display and the user needs to wear a magnetic ring (This won’t be necessary when everyone has a magnet implanted in their finger). As a user passes their finger over the screen the magnetic field gives haptic feedback. 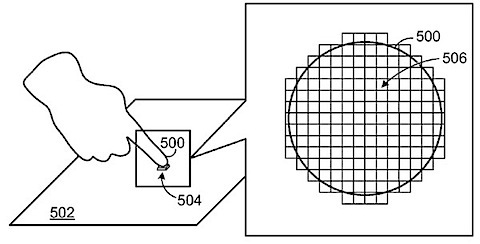 Microsoft has a patent for which would use infrared light to also cause a surface polymer to change shape. 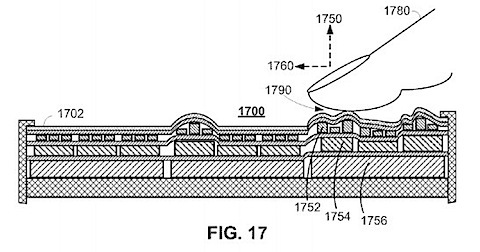 Allowing for a dynamic changing tactile surface. Which of these technologies are going to end up working is not clear, but I think that we will have displays that start to touch back in the near future. © 2012 Michael Luck Schneider. All images are copyrighted by their respective authors.